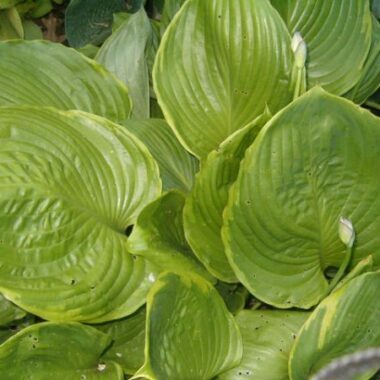 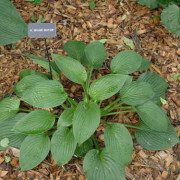 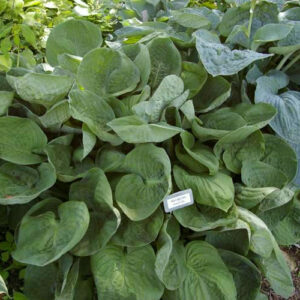 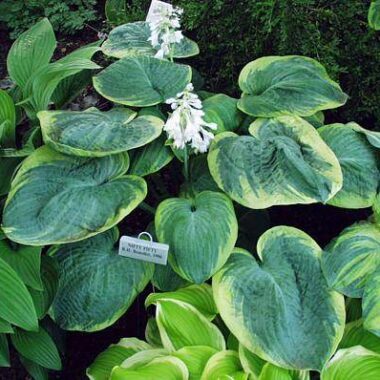 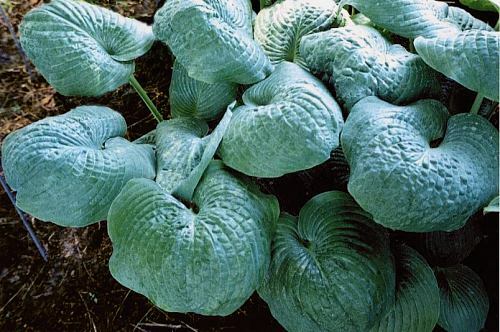 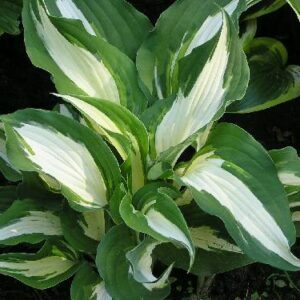 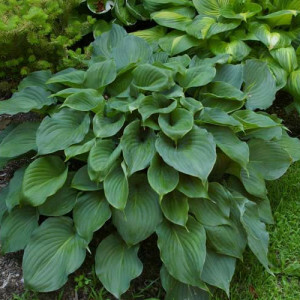 Nancy Gill Hosta – A very large blue-green leaf of extraordinary substance with rounded leaf nearly horizontal except for the edges that roll up to reveal white leaf backs. 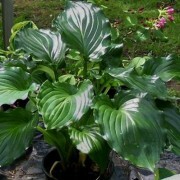 Petioles are tall and red. 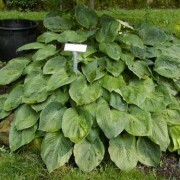 Large: 26″ high by 58″ wide upright mound, with powder blue green leaves with white backs, held at almost right angles to the petioles.